Best promotions around, check the latest list for yourself! St. Tropez is the home of the jet set, where socialites of the world mingle on the French Riviera - a visit to the Casino Tropez gives you a small insight to this glittering world. The site was launched in 2001 and with a decade and a half in the industry, they are certainly no newcomers, gaining a reputation of reliability and quality, ably backed by the impressive range of casino favorites all supplied by casino software industry leaders Playtech. With over 400 games on offer, as well as a live casino too, there is certainly something for everyone here. In this review, I start by looking at where you’ll be able to enjoy your gaming at the Casino Tropez, focusing on both devices and location. I then move on to detail the range of games, starting with the impressive slots, before exploring the rest of the casino range, including the live dealer site. I finish by delving into all of the bonuses and promotions that will come your way, both as a new member and an existing one. Upon entering the site you’ll be presented with a menu showing all the different sections of the casino in the left hand panel, making navigation from one section to another particularly easy. 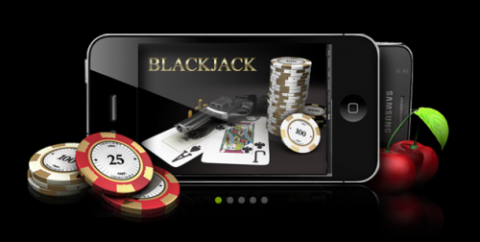 You can play at the casino through the browser or through a fast download option, while a selection of the games are also available on the go through an Apple or an Android device – this activated by SMS, text or e-mail. Casino Tropez is available worldwide, although UK users are currently unable to enjoy the site due to local legislative issues. 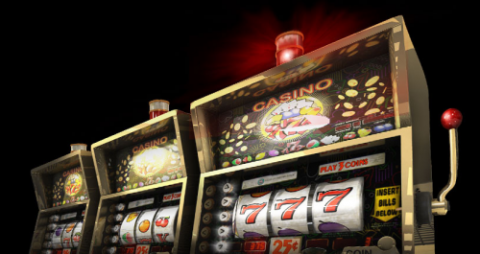 Upon entering the slots section you’ll be presented with a selection of the most popular games, while a ticker above the slots shows you exactly how much money to be won at the big money Jackpot slots. Some of these amounts are huge life-changing sums, the Jackpot Giant offering a payout in excess of €6 million at time of writing, while other games including Monty Python’s Spamalot and Gladiator also have seven figure jackpots to play for. Alongside the Jackpot games, you’ll find a great range of highly playable slots, including the fun Fortune Hill, film based slots in Ace Ventura Pet Detective and Top Gun, while Dragon Kingdom and Cat Queen will also catch your eye. No review of a Playtech powered casino would be complete without mentioning the Marvel range too, where you’ll find a pooled Jackpot sum available at excellent slots such as the Incredible Hulk and the Fantastic Four. The ‘table and cards’ section at Casino Tropez is the most extensive aside from the slots, and here you’ll find some nice variety when it comes to roulette, blackjack and casinp poker. The standout offerings here include roulette premium series pro, both single and multiplayer blackjack games, baccarat, Caribbean stud poker, while the Marvel roulette gives you an added opportunity of bagging the Marvel progressive jackpot. The video poker section hosts 13 varieties, including single and multi-hand offerings of all of your favorite games, while the arcade games section includes fun games such as Derby Day horse racing, Spin-a-win and Jackpot Darts. There is also a dedicated multi-player section, where you’ll find French and European roulette as well as Blackjack. You’ll also be able to enjoy a live dealer casino at Casino Tropez. These games are streamed live and hosted by attractive and friendly dealers, making for a gaming experience which is second to none. You’ll be betting on the live action you see on the screen, so you’ll see the real turn of the card, or the real spin of the wheel. Roulette, blackjack, sic bo and baccarat are all available. When joining Casino Tropez you’ll find a €3,000 welcome package heading your way. An immediate 100% deposit bonus of up to €100 can be yours with your very first deposit and this is joined by a 50% bonus on your second deposit, this bonus of up to €200. That totals €300, but you’ll also be able to enjoy a 100% match bonus of up to €100 for 27 consecutive Sundays, all adding up to the grand total of €3,000. The bonuses at this popular casino have a 30x wagering requirement. Promotions for existing members include a 110% bonus when you get started playing on your mobile device, while a 50% refund on all losses will also come your way, and you’ll also gain up to €50 free when referring a friend. However, the biggest boost for players is the seven level ’Club Tropez’ VIP club, where you’ll earn points every time you play, these points being redeemable for cash. As you progress through the levels of Club Tropez you’ll be entitled to such extras as elite promotions and contests, bonus offers and even a personal account manager. 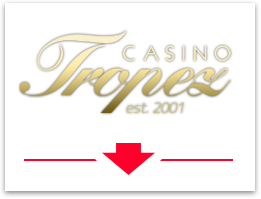 Check out the classy Casino Tropez for yourself now and enjoy the benefits that only a 200% welcome bonus can bring you!